‘Bhoomi’ marks the return of Sanjay Dutt to the big screen. The actor will continue his working working with director Omung Kumar in his next, which is based on the life and times of Maharaja Jam Sahib Digvijaysinhji Ranjitsinhji. 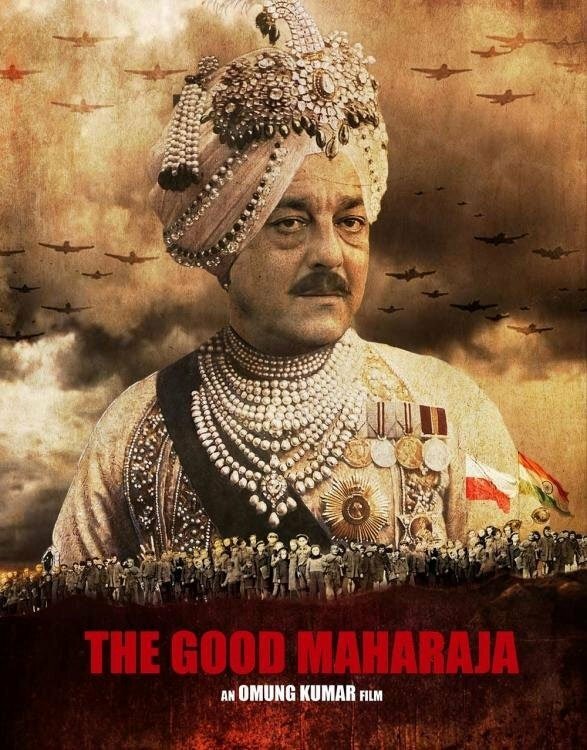 Even before ‘Bhoomi’ hits screens, the makers have released the first look poster of their next film titled ‘The Good Maharaja’. 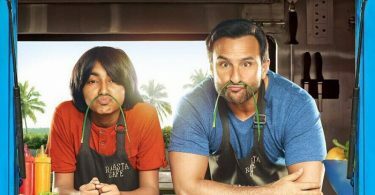 From sporting a beard in ‘Bhoomi’ to a clean-shaved moustache look of a Maharaja, Dutt carries the look pretty well, even though he looks old. Maharaja Jam Sahib Digvijaysinhji Ranjitsinhji was the ruler of Nawanagar, a princely state in British India. He had provided shelter to thousands of abandoned Polish children during the World War 2. He looks like Anupam Kher in it..
Why is it looking photoshoped.. But our dada ji only stick to rise hand and do romance. The turban looks lk photoshopped ..mayb no actual look test happened ..just virtually…. 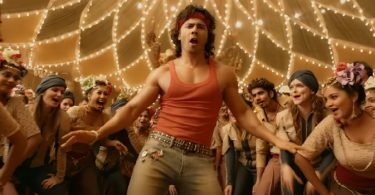 Anyways to b blunt it needs a lot of work ..ddnt like it ….also why release now …let bhoomi hppn den reveal Dutt next poster …now only a simple announcement wld hv sufficed if it was so urgent. That’s someone else’s body with Dutt’s face photoshopped on it.